Kudos if you were able to read the title of this post with any kind of fluency. Right there is a sign that you’re a stand-up dynasty player. D-O-R-S-S-Y-S isn’t just a crappy Scrabble hand. It’s also the first name of one of the better (and younger) middle infield prospects that you’ll want to get to know sooner rather than later. Dorssys Paulino and Raul Adalberto Mondesi are two shortstops who have impressed in their first full season of pro ball, and both 18-year-olds are already creeping up some top prospect lists across the world wide web. Paulino is about eight months older than Mondesi, so we’ll respect the elder and discuss him first. The Indians, like the Rangers, have a luxurious problem on their hands with all of these quality middle infielders in both the majors and minors. Paulino is one of the farthest away but no less exciting. He excelled in Rookie ball last year with 6 homers and 9 steals while slashing .355/.404/.610 in just 41 games. Not too shabby for somebody who was just getting his feet wet as a 17-year-old. 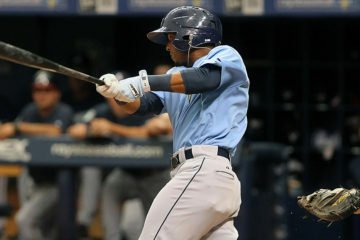 Mike Newman of rotoscouting.com praised Paulino as one of the best pure hitters he saw this past spring in Arizona. In 120 games with Lake County this year, Paulino swatted 5 homers and swiped 12 bases. His average dipped down to .246, but for somebody this young and having already jumped through three levels in the past year and a half, some growing pains were expected. Paulino actually got better as the year progressed as well. He hit 4 of his 5 homers after the All-Star Break and slashed .267/.318/.380 in the second half, compared to .222/.273/.312 in the first half. There don’t seem to be any issues with his defense at shortstop, but it’s not clear that he’ll stay at the position with Francisco Lindor ahead of him and a body type that’s I’ve seen described as “stout”. Not in a George Costanza kind of way, just in a “he-might-not-end-up-as-a-shortstop” kind of way. Even if he shifts to second or third, he’s shown the potential to be a solid contributor in all five standard fantasy categories and he’s someone I’d look to acquire for a dynasty team heading into 2014. Mondesi, meanwhile, is even younger than Paulino and has already started to receive more attention. The Royals’ prospect managed to squeak onto Baseball America’s top 50 midseason prospect rankings despite just turning 18 at the end of July. Mondesi is the youngest shortstop in the South Atlantic League, but he has carved a name for himself with 7 homers and 24 stolen bases in 125 games. He even has a cycle under his belt already. His 126 hits, 7 homers, and 7 triples all rank in the top three in the league among shortstops. Obviously we’re dealing with “what-ifs” with prospects in general, especially guys as young as Mondesi, but I can’t say I’ve read anything negative about the guy yet. The only nit-pick seems to be his K-rate, which hasn’t dipped below 20% yet (although that’s to be expected for one of the youngest players at his level). Based on their success in their first full season, both of these young shortstops appear to have bright futures ahead of them in the big leagues. While Mondesi might not develop quite the same pop as Paulino, he’s more of a burner and can hit from both sides of the plate. He’s also a better bet to stick at shortstop long term. 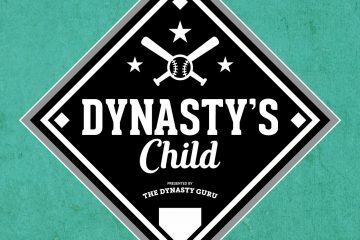 For those reasons and the fact that Mondesi is almost a full year younger, I would lean towards Mondesi if forced to choose between the two for my dynasty team. I saw Mondesi about 2 weeks ago and was really impressed by his approach at the plate, especially for being so young. Didn’t look great at SS (made 3 legit errors) but it was the end of a long season for a kid his age. Thanks for the comment!. Always good to hear from somebody who’s had a look at them in person. No problem. I was more impressed with Dozier at the time, though. That kid is a stud. Prospect Talk on him tomorrow, for all your Hunter Dozier related needs.